Family tree by John Byrne. 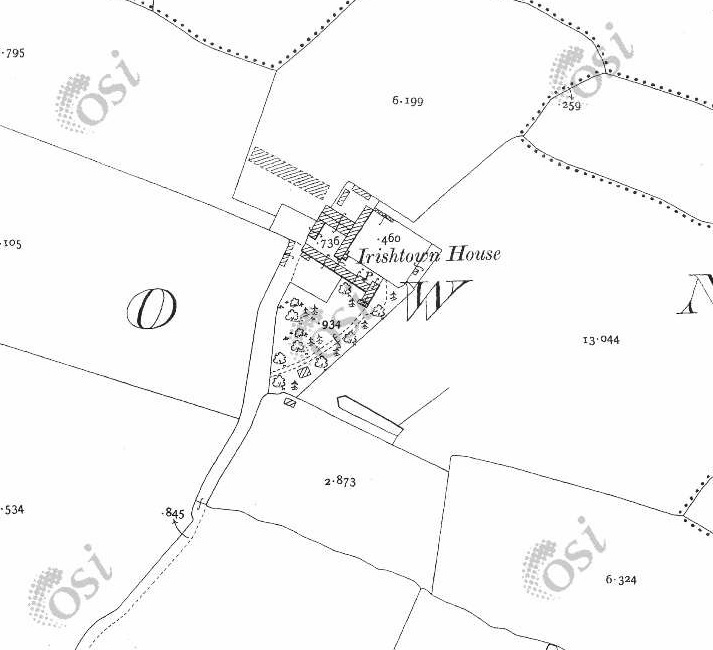 Irishtown House, Co.Dublin, on 1887 to 1913 map. This is now site of Liffey Valley Shopping Centre. It is thought that the Flanagans may be connected to Lawlor, possibly through Lamphier. party to a deed of 25th May 1793, "Henry Thompson Merchant to John Lawler", house and lands of Kilnamanagh, just SW of Greenhills, Tallaght par, Co.Dublin. are party to a deed of 11th Jan 1797. "William Flanagan" (this must be old William Flanagan) is appointed umpire to settle the distribution of the estate of the late Launcelot Lawlor, of Kilnamanagh, Tallaght par, Co.Dublin, farmer, among various people, including the house and lands at Tymon, Tallaght par, Co.Dublin, to John Lawlor, undated. he bred horses for the Dublin Horse Show.